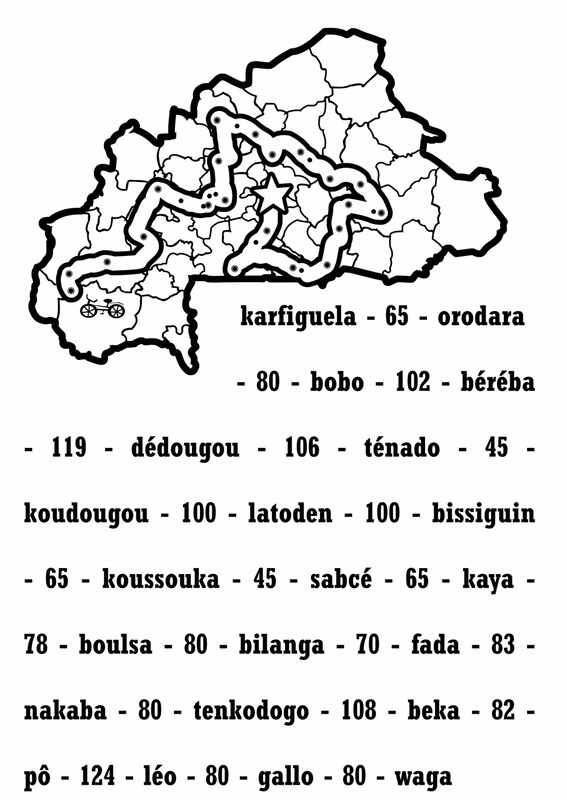 The 1,800km Tour de Faso bike tour I posted in more detail about earlier starts up today in the southwest of Burkina with a 65km ride from Karfigula to Orodara. Activities began last night with a Neem Cream demonstration as part of the kickoff ceremony. Sadly I wasn’t there on day one, but I will be joining my fellow PCVs for the final week (Fada to Ouagadougou segments) – 637km (395 miles) in all. Please consider making a donation to the PCV-run GAD committee on gender and development. Just click here, put down the (tax deductible) amount you’d like to donate, and note “GAD Gender and Development” in the comments section on the following page. I’ll be sure to give full updates on the tour once I join up on September 14th.